Petrillo M, Cherubini P, Sartori G, Abiven S, Ascher J, Bertoldi D, Camin F, Barbero A, Larcher R, Egli M (2015). Decomposition of Norway spruce and European larch coarse woody debris (CWD) in relation to different elevation and exposure in an Alpine setting. iForest 9: 154-164. To describe the decay stage of coarse woody debris (CWD) a five decay-class system has been introduced and it is currently the most commonly applied. This system is based on visual, geometric and tactile features of the wood in the field; however, a detailed chemical characterization is often missing. Furthermore, the driving mechanisms (particularly substrate quality vs. environmental conditions) of deadwood decay are controversially discussed. Consequently, we investigated how typical major and minor chemical parameters of wood were correlated with the decay stage. The decomposition patterns of Norway spruce (Picea abies (L.) Karst) and European larch (Larix decidua Mill.) CWD of an Alpine setting were analyzed, and how the chemical and physical parameters were affected by the substrate and environmental conditions was checked. Two altitudinal sequences, having a different exposure (north- vs. south-facing sites), were sampled. We measured main biochemical compounds (lignin and cellulose), physical properties (density and water content), element concentrations (C, N, P, K, Ca, Mg, Fe, Mn), and the carbon isotopic signature (δ13C) of living trees and CWD at five decomposition stages (decay classes). Most investigated wood physico-chemical parameters such as wood density, water content, lignin and cellulose and even minor constituents (N, Ca, Mg, P, Fe, Mn) correlated well to the five decay-class system. Some important components, such as the carbon concentration and δ13C, did not vary with increasing decomposition. Our hypothesis that the different substrate should be traceable during CWD decay had to be rejected, although some statistically significant chemical differences between larch and spruce were measured in the living trees. The chosen tree species were probably not different enough to be chemically traceable in the CWD. Already in decay class 1, these differences were zeroed. The site conditions (expressed by the different altitudes and exposure) influenced only some of the investigated parameters, namely lignin, the δ13C isotopic ratio and nutrients such as P, Ca and K.
Decomposition of aspen, spruce, and pine boles on two sites in Minnesota. Canadian Journal of Forest Research 23: 1744-1749. Temperature effects on the diversity of soil heterotrophs and δ13C of soil-respired CO2. Soil Biology and Biochemistry 32 (5): 699-706. Are humus forms, mesofauna and microflora in subalpine forest soils sensitive to thermal conditions? Biology and Fertility of Soils 48 (6): 709-725. Manganese dynamics in decomposing needle and leaf litter - a synthesis. Canandian Journal of Forest Research 43 (12): 1127-1136. Living stands and deadwood in the Bialowieza forest: Suggestions for restoration management. Forest Ecology and Management 165: 125-140. The afterlife of a tree. WWF Poland, Hajnówka, Warszawa, Poland, pp. 251. Wood cellulose preparation method and mass spectrometric analysis of delta C-13, delta O-18, and nonexchangeable delta H-2 values in cellulose, sugar and starch: an interlaboratory comparison. Analytical Chemistry 79 (12): 4603-4612. Decomposition of woody debris in Western Australia forests. Canadian Journal of Forest Research 26: 954-966. Log decay of Picea abies in the Swiss Jura Mountains of Central Europe. Forest Ecology and Management 242 (2-3): 791-799. Controls on coarse wood decay in temperate tree species: birth of the LOGLIFE experiment. Ambio 41: 231-245. Introduction. In: “Methods in lignin chemistry” (Lin SY, Dence CW eds). Springer, Heidelberg, Germany, pp. 1-19. In situ carbon turnover dynamics and the role of soil microorganisms therein: a climate warming study in an Alpine ecosystem. FEMS Microbiology Ecology 83 (1): 112-124. The role of lignin for the δ13C signature of C4 grassland and C3 forest soils. Soil Biology and Biochemistry 57: 1-13. Effect of north and south exposure on weathering rates and clay mineral formation in Alpine soils. Catena 67 (3): 155-174. 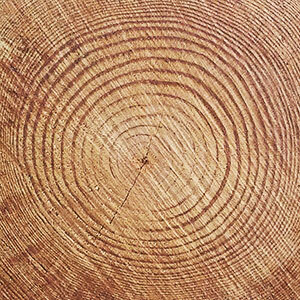 Fast response of Scots pine to improved water availability reflected in tree-ring width and ∂13C. Plant, Cell and Environment 33: 1351-1360. Carbon isotopic fractionation during decomposition of plant materials of different quality. Global Biogeochemistry Cycles 17 (3): 1075. Decomposition and nutrient release from radiata pine (Pinus radiata) coarse woody debris. Forest Ecology and Management 187 (2-3): 197-211. Wood-rotting fungi of North America. Mycologia 72 (1): 1-49. Nitrogen content, decay rates, and decompositional dynamics of hollow versus solid hardwood logs in hardwood forests of Minnesota, USA. Canadian Journal of Forest Research 28: 1276-1285. Carbon concentration of standing and downed woody detritus: effects of tree taxa, decay class, position, and tissue type. Forest Ecology and Management 291: 259-267. Nutrient concentration in stumps and coarse roots of Norway spruce, Scots pine and silver birch in Sweden, Finland and Denmark. Forest Ecology and Management 290: 40-48. Photosynthesis-nitrogen relationships in species at different altitudes on Mount Kinabalu, Malaysia. Ecological Research 17: 305-313. Wildlife, forests and forestry: principles of managing forests for biological diversity. Englewood Cliffs, NJ, USA, pp. 370. World reference base for soil resources (2nd edn). World Soil Resources Reports No. 103, First update, FAO, Rome, Italy, pp. 116. Carbon cycling in soil. Frontiers in Ecology and the Environment 2 (10): 522-528. Dynamics of 13C natural abundance in wood decomposing fungi and their ecophysiological implications. Soil Biology and Biochemistry 37 (9): 1598-1607. Dead wood biomass and turnover time, measured by radiocarbon, along a subalpine elevation gradient. Oecologia 141 (4): 641-651. Decay and nutrient dynamics of coarse woody debris in northern coniferous forests: a synthesis. Canadian Journal of Forest Research 34 (4): 763-777. Investigating biochemical processes to assess deadwood decay of beech and silver fir in Mediterranean mountain forests. Annals of Forest Science 70 (1): 101-111. Decomposition rates of coarse woody debris - a review with particular emphasis on Australian tree species. Australian Journal of Botany 51 (1): 27-37. Phosphorus and base cation accumulation and release patterns in decomposing Scots pine, Norway spruce and silver birch stumps. Forest Ecology and Management 260 (9): 1478-1489. A large and persistent carbon sink in the world’s forests. Science 333 (6045): 988-993. Variability of moisture in coarse woody debris from several ecologically important tree species of the Temperate Zone of Europe. Ecohydrology 5: 424-434. Decomposition, delta C-13, and the “lignin paradox”. Canadian Journal of Soil Science 86: 235-245. Initial turnover rates of two standard wood substrates following land-use change in subalpine ecosystems in the Swiss Alps. Canadian Journal of Forest Research 43 (10): 901-910.
Review of indicators and field methods for monitoring biodiversity within national forest inventories. Core variable: deadwood. Environmental Monitoring Assessment 164: 617-630. Wood density and carbon and nitrogen concentrations in deadwood of Chamaecyparis obtusa and Cryptomeria japonica. Soil Science and Plant Nutrition 58 (4): 526-537. Biomass conversion factors (density and carbon concentration) by decay classes for dead wood of Pinus sylvestris, Picea abies and Betula spp. in boreal forests of Sweden. Forest Ecology and Management 243 (1): 19-27. Nutrient concentration of down woody debris in mixedwood forests in central Maine, USA. Silva Fennica 45: 197-210. Increasing forest disturbances in Europe and their impact on carbon storage. Nature Climate Change Letters 4 (9): 806-810. Chemical transformations in downed logs and snags of mixed boreal species during decomposition. Canadian Journal of Forest Research 43 (9): 785-798. Interactions among lignin, cellulose, and nitrogen drive litter chemistry-decay relationships. Ecology 93 (2): 345-354. Deadwood specific density and its influential factors: a case study from a pure Norway spruce old-growth forest in the Eastern Carpathians. Forest Ecology and Management 283: 77-85. The influence of alkaline and non-alkaline parent material on Norway spruce tree chemical composition and growth rate. Plant and Soil 370 (1-2): 103-113. Environmental controls on carbon dioxide flux from black spruce coarse woody debris. Oecologia 132: 374-381. Global meta-analysis of wood decomposition rates: a role for trait variation among tree species? Ecology Letters 12: 45-56. Element concentrations and storage in the aboveground biomass of limed and unlimed Norway spruce trees at Höglwald. European Journal of Forest Research 128 (5): 437-445.
Review on the decomposition and influence of coarse woody debris in forest ecosystem. Journal of Forest Research 18: 48-54.